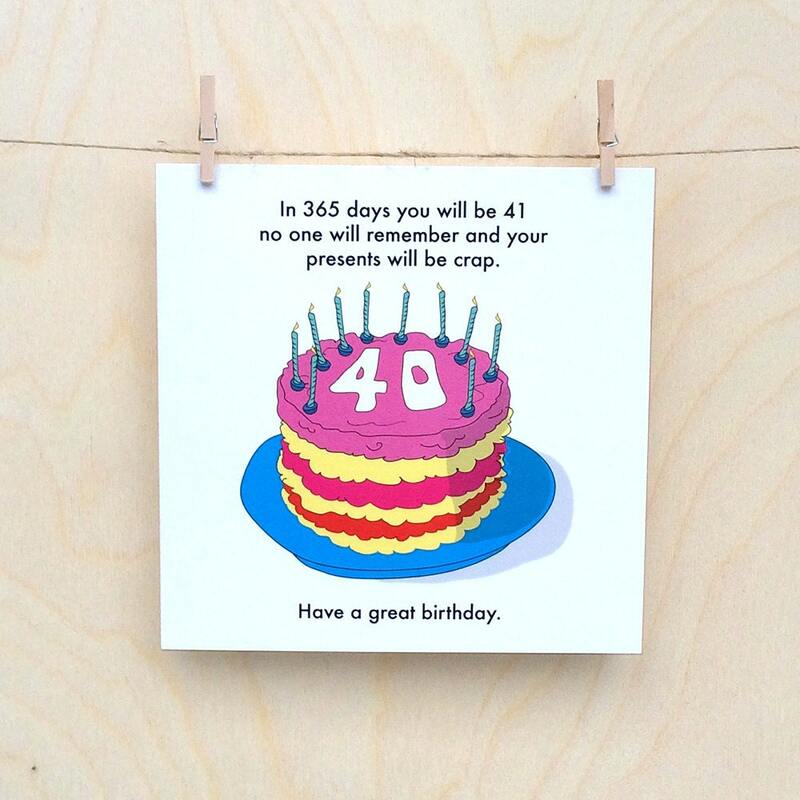 This funny 40th birthday card will really cheer up anyone who is struggling with that feeling that they have completely wasted there youth and that it is only downhill from here on in. Go on, make there day. Amusing greetings card printed on 145mmx145mm 300gsm matt card. Professionally printed, comes with blue envelope in cellophane wrapper. Shipped in hard envelope.